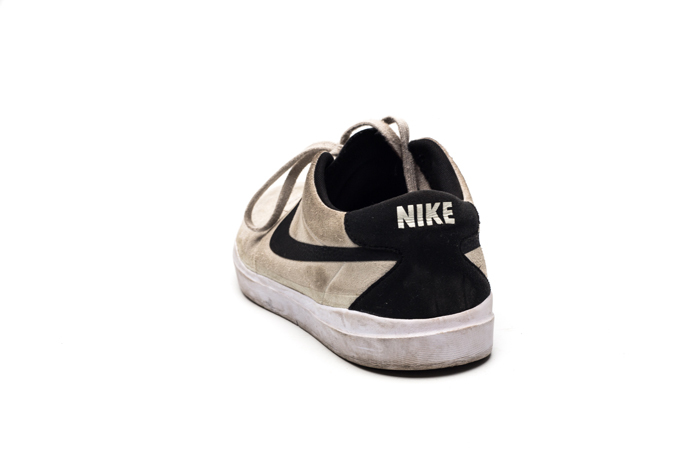 Recently in videos and even Street League competitions we’ve seen skaters on the Nike SB team wearing a new shoe that looks extremely…simplistic. Upon first impression it looks like a new model, but with a closer look, we found out it’s a revamped version of the old Nike SB Bruin called the Nike SB Bruin Hyperfeel, with innovative technical features on a classic silhouette. 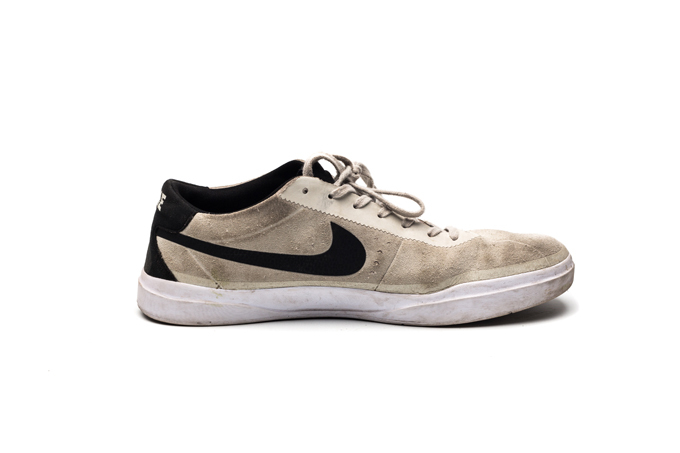 Originally a basketball shoe, the Nike Bruin was adapted for skateboarding and became one of the simplest models in the product line. 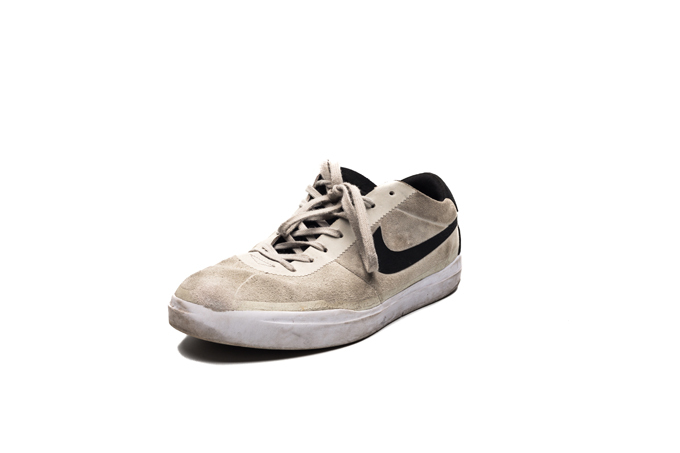 However, Nike SB is now pushing their hyperfeel technology and has zapped the old Bruin into “Shape”, by today’s technical standards. This is the second shoe, following the Koston Hyperfeel, to feature the hyperfeel technology that is mainly focused on the sole of the shoe, promising exceptional cushioning without sacrificing boardfeel. As time goes on, the wave of innovation continues to build up and many new technical elements are being implemented in the product line to give you a better this, or a stronger that, but we here at Weartested put the shoe to the streets and broke the shoe down in laymen’s terms. 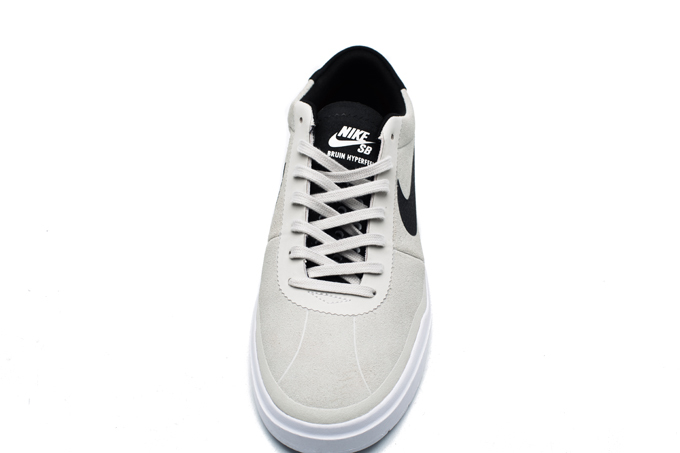 Check out the review below for our 2 cent’s on the new Nike SB Bruin Hyperfeel. The Nike SB Bruin Hyperfeel fits true to size. If there was one thing that was most impressive during the weartest, it would be the durability of the shoe during our 10 – hour test. There were many factors that were considered into making the upper as durable as possible to eliminate any chance for ollie or kickflip holes to appear. 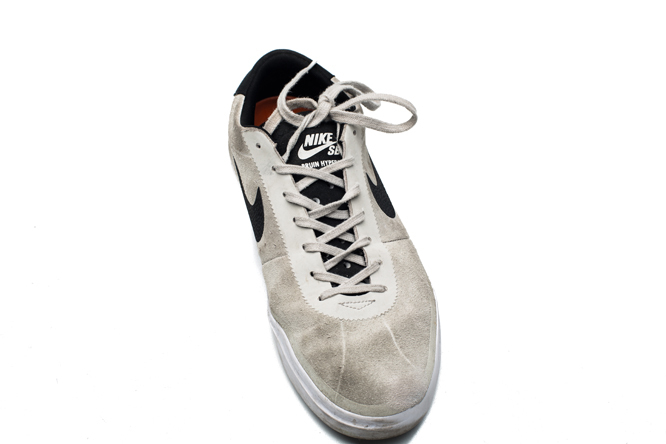 For starters, given Nike’s deep rooted investment into their R&D program, they outfitted the whole shoe with top notch quality suede that only became grippier and gripper with more skating. 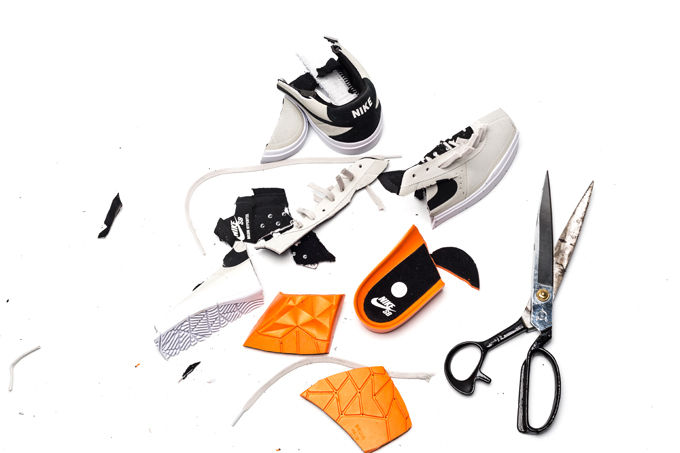 The panels of the shoe were also attached together through a seamless construction, and Nike pushed their “seamless” line where the kickflip hole is as far back posterior to the toe as possible, which helped direct your wear and tear away from the “danger zone”; the area where most shoe’s seams get blown out and the panels start coming apart. 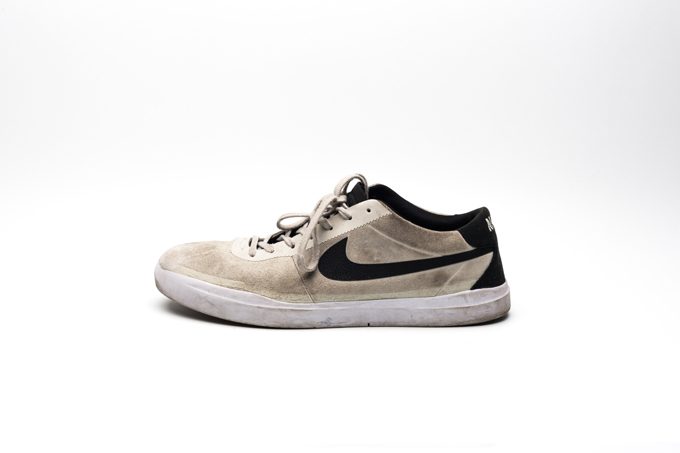 Additionally, there was an added Hyperscreen coating along the toe area to increase durability and traction, a technical element that we’ve seen used on previous models like the Stefan Janoski and Lunar One Shot. With this combination the durability of this classic model was greatly enhanced and the skating only got better as all elements eventually broke in and became a cohesive durable upper. Fire. One more thing to mention is the mindful placement of the shoelace holes and the seamless Hyperfuse coating around them to help protect the laces from ripping too easily. The patented Hyperfeel technology implemented in both the Koston 3 and Bruin models aims to maximize cushioning and boardfeel, without choosing one or the another. This is a large step in technology because although many companies have tried to attain this balance with their innovation, Nike is the first to have a successful patented release that does a pretty good job…granted, it definitely takes time for your feet to get used to. The cushioning technology of the shoe features a Poly-Urethane Hypercush drop-in sockliner that provides a very stable and firm cushioning feeling. The posterior part of the feet feel well protected as the heel to midfoot area have a much more dense PU support with a concave tread pattern on the bottom, and is fully secured with a strong heel lock. In the frontal part of the sockliner however, from the midfoot to the toe, boardfeel is the main focus as the cushioning is dramatically minimalized, and has a convex tread pattern. With this contrast, the Hypercrush sockliner takes a bit of time getting used to. Initially, for those whose feet have flattened out with the impacts over the year, the arch support in the sockliner might take some time getting used to, but once broken in, the Hypercush sockliner provides exceptional boardfeel and impact protection. Originally, the Bruin was a classic low-top basketball shoe in Nike’s product line. 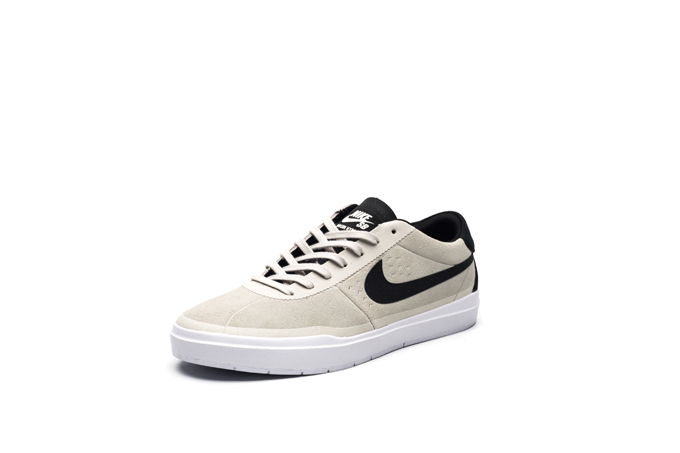 However, as far as skate shoes go, the Nike SB Bruin Hyperfeel is one of their more narrow models in the SB product line. The redesigned shape of the shoe overall is more sleek and narrow, with the heel to the midfoot area of the shoe extremely compacted and tight to prevent any slippage. 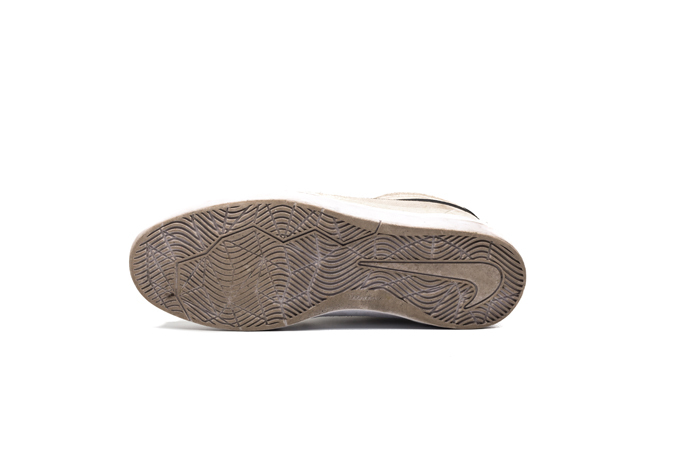 Moreover, on the inside lateral side of the midfoot area, the shoe is fitted with the arch of the sockliner, which is angled much higher than other SB models. Another aspect of the shoe’s shape that was highly favored was a lowered heel counter that was thinly padded but extremely supportive, offering a wide range of motion for the ankle as well as strong ankle stability. As aforementioned, the Hyperfeel aspect of the shoe is aimed to provide exceptional boardfeel without compromising cushioning, and in the case of the Bruin Hyperfeel, Nike did a fantastic job. While most shoes have a fair balance between the two features, the Bruin hyperfeel does exceptionally well at both. 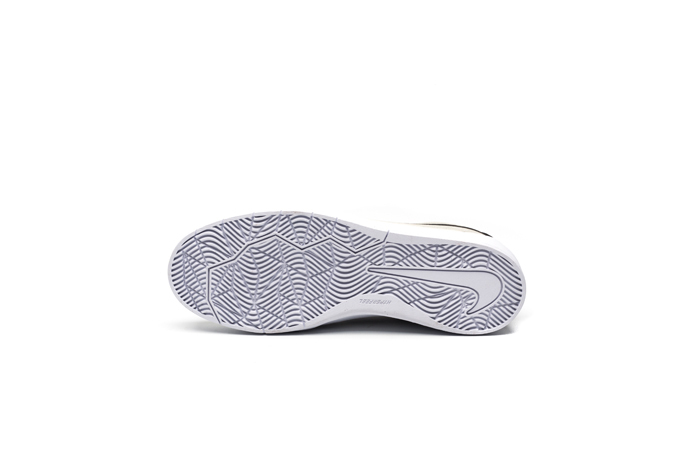 Without the insole, the shoe is extremely thin and flexible, but with the insole added in, which is about 5 mm thick PU Hypercush around the midfoot to toe area, the boardfeel is at it’s prime. As a cupsole model, the outsole of the shoe is made of rubber, and has an almost unnoticeable herringbone pattern on the outsole for added grip. 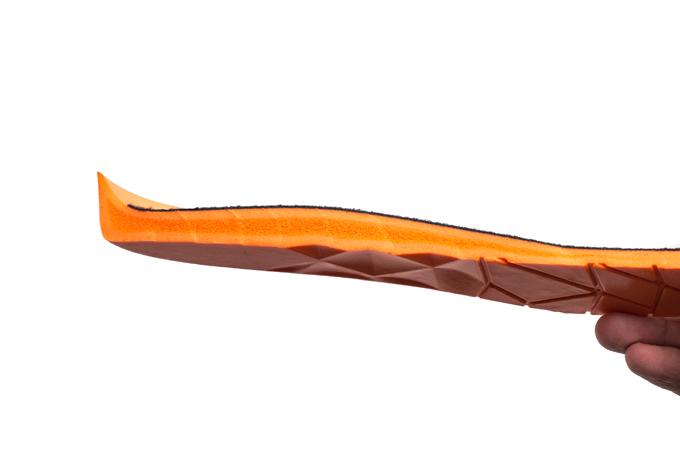 But truthfully, the herringbone pattern doesn’t do much for grip. During our ten hour test, the overall grip of the shoe was exceptional, but during the last hour of the test as the shoe was much more worn in and the upper and outsole started to meld together, the grip noticeably became weaker. With that said, strong durability of the shoe played a strong factor in the grip of the shoe as well, and had much more life even after our 10-hr weartest. With regards to comfort, the shoe takes a bit of time getting used. The arch support is a bit uncomfortable for those with wider feet, however, with more skating, the shoes are much more comfortable to wear. Those with more narrow feet should have no problem getting used to. One thing that wasn’t well taken into consideration was the ventilation and breathability of the shoe. Although Nike added a few upside down V shaped cuts into the side panels of the shoe, this was far from enough to compensate for breathability. One feature that did help a little bit more though, was their addition of ventilation holes into their gusseted tounge. These holes helped a bit with the ventilation and also made the tounge much lighter than most shoes, which didn’t keep the top of your feet very sweaty. However, with that said, the breathability did not satisfy and the shoe’s shape was a bit affected. Stability-wise, the shoe was very well adapted to keep the feet feeling secure and uniform. The gusseted tounge, drop-in sockliner and extremely supportive heel counter made for a very stable feeling. 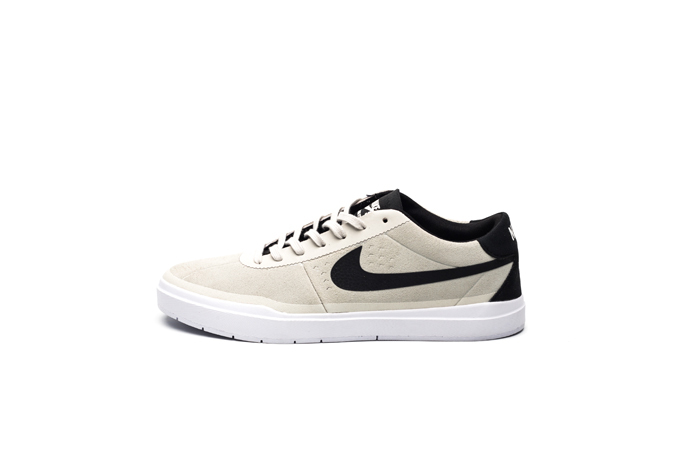 The Nike SB Bruin Hyperfeel is the second installment in the SB Hyperfeel series but the first to have well rounded technical features that make skating look and feel simple. The shoe excels the most in terms of stability, cushioning and boardfeel but definitely leaves breathability and grip more to be desired.